Since 1992, RFS, LLC Fire Suppression and Sprinkler Systems has been the premier provider of fire protection and suppression equipment in the Minot area. Our friendly and professional staff work hard to provide our customers with quality products at a reasonable price! Here at RFS, LLC Fire Suppression and Sprinkler Systems, we’ve been building sprinkler systems in Minot, ND for decades and always put the safety and wellbeing of our clients and their facilities above all else. We’re completely committed to providing the utmost skill, responsibility and integrity required to fully execute the requirements of every contracting opportunity we’re granted. Experience, financial resources, bonding capabilities and long-standing subcontractor/supplier relationships allow the RFS, LLC Fire Suppression and Sprinkler Systems team to provide a quality product, on time and within budget. As a Economically Disadvantaged Woman Owned Small Business, we pride ourselves on ensuring that our customers have an experience that shows them we value their service as much as we want them to value our work. Economically Disadvantaged Woman Owned Small Business. We complete all projects in a timely manner, within budget. We are a certified small business and government contractor. We have our National Foam Engineering Certification. We meet all specified customer needs effectively. If you’re not sure your building is up to code with its fire systems, contact us today to schedule an inspection. It’s always better to be safe, rather than sorry. RFS, LLC is owned and operated by Julie Okeson. 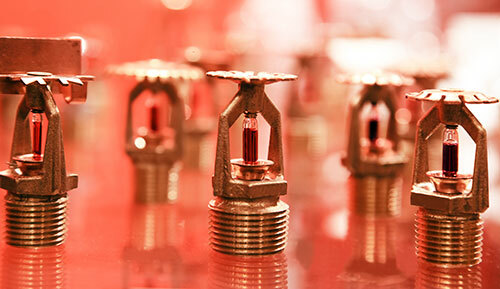 RFS, LLC has extensive experience in the design and installation of fire suppression systems. In April of 2015 RFS, LLC Fire Suppression and Sprinkler Systems was accepted into the Economically Disadvantaged Woman Owned Small Business Program. The company is now pursuing further contracting opportunities in the government and private sector. RFS, LLC is committed to provide reliable customer service and sufficiently complete all projects in a timely manner. We strive to provide a quality workforce and meet all specifications effectively. RFS, LLC is located at 3521 County Road 19 South, Minot, ND. Our office is automated using both Mac & Windows operating systems. All accounting, estimating, invoicing, job costing and payroll is performed in-house. RFS, LLC is registered with Central Contractor Registration (CCR). Our DUNS Number is 798794244, CAGE/NCAGE Code is 1WXG4.